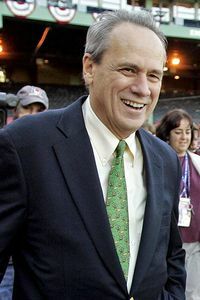 BOSTON, Mass.—High-ranking Red Sox officials have begun privately prodding team president and CEO Larry Lucchino to seek psychiatric counsel after the PR ace spent most of the recent home stand obsessing over the synchronicity of plays involving Jacoby Ellsbury and cuts from Pink Floyd’s album, Dark Side of the Moon. Lucchino has become increasingly convinced that certain points in the album align in a meaningful way with particular baserunning plays involving Ellsbury such as the young phenom’s straight steal of home plate Sunday night. Lucchino has apparently taken his cue from the popular rumor among the stoner/Phish fan community that Dark Side of the Moon contains parallels to the classic movie The Wizard of Oz when played on repeat. 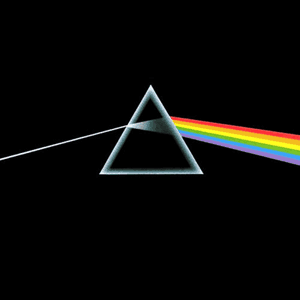 Just as the Dark Side of the Moon’s aural effects sync with the movie’s visuals if the album is started while the MGM lion roars for the third time, Lucchino believes a similar effect can be created if the first track is cued as Ellsbury crosses over the right field foul line during the first inning on his way to center field. Meanwhile, Lucchino claims he knew Ellsbury was going to steal home on Sunday night because the chorus from the instrumental track “On the Run” began playing as the speedy outfielder extended an extremely generous lead down the third base line. The sources for this story acknowledged that Lucchino’s behavior may be a clever ploy by the prolific marketing guru to drum up attention from marijuana smokers for the upcoming Phish concert at Fenway Park. However, the team is taking surprisingly great pains to keep details of his behavior from the mainstream media. Looking foolishly docile in a series of recent photographs with his new fiance, John Henry certainly did his part to at least temporarily divert attention from the escalating situation. SOUTH BOSTON, Mass.–A Massachusetts State Police trooper has taken an involuntary leave of absence following a bizarre incident in which his superior officers believe they spied the 34-year-old on TV catching a foul ball at Fenway Park with a baseball glove during Opening Day last Tuesday. A full-blown investigation into the incident is already underway at the South Boston barracks, according to sources speaking on the condition of anonymity because of the sensitivity surrounding the issue. The off-duty trooper was in street clothes and appeared to be at the game with his son, who on-duty officers watching the game also recognized. However, the baseball glove did not appear to be small enough to be his offspring’s. For a department that prides itself on manning its force with officers of the utmost character and dignity, the very public display at Fenway Park may ultimately spell termination if the trooper is found to be guilty. Internal investigators are in the process of obtaining multiple camera feeds from the broadcast. In the meantime, the State Police barracks has already circulated an internal memo regarding the incident, asking anyone in the department with information to step forward. Thus far, anonymous tips have centered around the possibility that the trooper may have used the glove during inter-departmental softball games. The investigation could wind up costing the department a significant amount of money if it continues to drag out. According to Skip, Staties often obtain tickets to games in the line of duty during warranted seizures, raids, foot patrols and traffic stops. Skip’s partner, another veteran officer willing to discuss the incident as long as his name was withheld, questions the process the trooper may have underwent if he obtained the tickets in the line of duty. The fact that the off-duty trooper may have violated this unwritten code among State Police only serves to further irk fellow policemen. All of the troopers interviewed for this story seemed to agree that maintaining a sense of humor about the incident may be the only way of dealing with the unquestionably troubling behavior. “Give him a plus one on Dewan’s!” yelled a veteran officer from the next room over. Note: The story’s reporter was kind enough to remove the “For Immediate Release” and public relations contact information that preceded the information above. Fenway Pastoral sees no reason for honest, hard-working marketing folks to steer fans away from the truth about their products being delicious. Nonetheless, while Boston area police occupied themselves helping old ladies cross the street and parking illegally, we were able to stealthily obtain a limited number of the new frankfurters that will be sold throughout the park this season. The pilfered dogs were cooked in lukewarm water for nearly two minutes and taste tests were subsequently served to unsuspecting, delightfully surprised citizens throughout the metro Boston area. Surprisingly, not everyone was on board with the new taste. Robert McDonald, a former concessions vendor at Fenway Park, declined to even try the new tubesteak. “I worked a grill under the bleachers for 10 years. I wouldn’t put that thing in Jenna Jameson’s mouth while wearing condoms on my fingers.” When asked to elaborate, McDonald declined. Despite McDonald’s minority opinion, the new Franks figure to be more popular than the recently defunct Conigliaro’s Corner. The icing on the cake, according to economists, is that tubular meat has proven to be exceptionally recession-proof, an important consideration during such lean times.